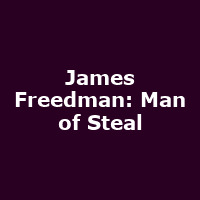 "Freedman will steal a whole lot more than you might expect. One member of the audience will lose the most valuable thing possible- it could be you! Funny and fast-fingered, his unique and extraordinary show exposes how the bad guys really work, sharing a life-time spent studying hustlers, street criminals and con-men. Hailed a genius in his field by Derren Brown, stealth-crime expert James Freedman is the only man to have picked the pockets of the Mayor of London, the Chancellor of the Exchequer and the Governor of the Bank of England."